Approximately 30% of people around the world are affected by bad breath or halitosis. It is the term used to describe the foul-smelling odor which emerges from mouth, throat or tonsils. This foul odor is caused due to sulfur-producing bacteria which breed underneath the tongue, throat or tonsils. Apart from that, bad breath can also be caused due to dry mouth, tobacco products, medications, infections and certain foods like garlic. Usually, bad breath can be treated by brushing and rinsing with mouthwash. But in some cases, it has to be treated from inside if the trigger is an underlying issues like gut problems, infections in tonsils or throat. Whatever the reason might be, home remedies like apple cider vinegar, lemon or baking soda can be of a great help in dealing with bad breath. Is Apple Cider Vinegar Good For Bad Breath? Apple cider vinegar contains natural acids such as acetic acid and malic acid that helps a lot in eliminating the bacteria in the mouth causing bad breath. It has anti – septic property that helps to breakdown the plaque and thus fights against the bacteria causing bad breath. It aids in proper digestion which clears bad breath caused by indigestion. It contains many trace elements like calcium, sodium, potassium, magnesium, chlorine, copper, silicon, iron, fluorine and others which are helpful for building strong teeth. 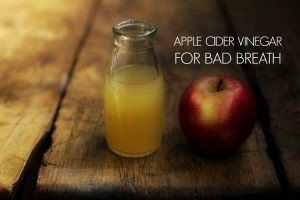 How to Use Apple Cider Vinegar for Bad Breath? Here are some of the effective methods for treating bad breath using apple cider vinegar. Select any method and try it regularly to get complete relief. Drinking apple cider vinegar helps to get relief from bad breath, indigestion and other stomach problems. Add 1 tablespoon of apple cider vinegar into a glass of water (normal or warm). Stir well and consume it before having each meal. Gargling helps to flush out the leftover food particles present in the mouth. The acidic nature and anti-bacterial property deals with the bacteria causing foul smell. Add 1 teaspoon of apple cider vinegar to a cup of warm water. Use this mixture to gargle or swish around the mouth for a few minutes. Repeat this remedy regularly to get rid of bad breath and other oral problems. The chlorophyll present in parsley possesses anti-bacterial properties which helps to prevent bad breath caused by bacteria. It stimulates the saliva flow which helps to remove bad breath. Dip handful of parsley leaves in a cup of apple cider vinegar. Take it out and chew them thoroughly. After 2 – 3 minutes of chewing, swallow them. You can spit them out if you don’t like swallow them. Repeat the process regularly to get rid of bad breath instantly. The combination of apple cider vinegar and honey can treat many health ailments like bad breath, joint pains, arthritis, sore throat and many others. Add 1 teaspoon each of apple cider vinegar and honey into a glass of warm water. Repeat the process 2 times in a day (once in the morning on empty stomach and again at night). Note: Pregnant and breast feeding women should consult their doctor before drinking this cocktail. Combine 1 teaspoon each of apple cider vinegar, honey and water. Repeat this process 3 times in a day to get rid of bad breath. Using apple cider vinegar mouthwash regularly helps to get relief from bad breath and oral problems. Here is the process of making homemade mouthwash using apple cider vinegar. Add 1/2 teaspoon of apple cider vinegar into a glass of water. Stir well and use this to rinse your mouth. Repeat the process regularly to get rid of bad breath. Baking soda neutralizes the acid levels in the mouth which helps to kill the bacteria present in the mouth. Add 1 teaspoon of apple cider vinegar, 1/4 teaspoon of baking soda into a cup of warm water. Stir well and drink this mixture. Repeat the process regularly to get relief from bad breath and whiten your teeth. Combine 1/2 tablespoon of apple cider vinegar and 1 tablespoon of baking soda. Note: Alternatively, you add the mixture into a cup of water and use it to gargle. First of all, take sufficient amount of baking soda. Use this to brush your teeth properly and rinse it off with water. Then take raw apple cider vinegar and use this to rinse your mouth. After that, rinse your mouth thoroughly with water to prevent bad breath. Continue doing this process regularly to cure bad breath problem and other dental problems. Add 2 tablespoons, 1/8th teaspoon of cinnamon powder into 8 ounces of water. Repeat the process regularly to keep bad breath at bay. Add 2 – 3 teaspoons of apple cider vinegar and 3 – 4 teaspoons of sugar into a glass of water. Mix well until the sugar gets dissolved. Consume it using a straw. Repeat the process regularly to cure bad breath and other health problems. Drinking apple cider vinegar or lemon juices on regular basis will lead to deterioration of dental enamel. So, it’s always better to use a straw to avoid the same. Make sure to wash your mouth after drinking or gargling with apple cider vinegar to avoid the side effects. You can buy apple cider vinegar in any natural health or nutrition store or even through online from various shopping sites like Amazon, EBay, walmart, vitaminshoppe, etc. Drinking lots of ACV for longer run can affect insulin levels, lower bone density and reduce potassium levels. For effective results, use apple cider vinegar that is raw, organic, unfiltered and unpasteurized and contains mother element in it. If apple cider vinegar treatments are not providing relief from bad breath, then consult a doctor to find out the root problem. Apart from trying out home remedies, you have to follow proper dental hygiene. Was the article helpful for you? 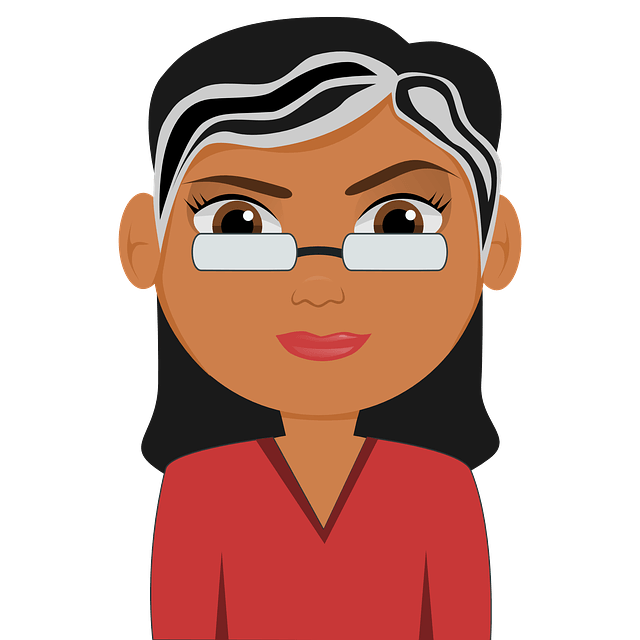 Do you have any suggestion or queries? Feel free to share them with us in the comment section below. lf the breath problem is a chronic one can Acv still take care of it? Yes, it can help. Apart from that consult the doctor to find out the exact trigger for bad breath. Apart from that brush and floss 2 times a day. Clean the tongue while brushing and swish your mouth with water after each meal. Dilute 1 tablespoon apple cider vinegar in glass of warm water. Swish your mouth with this solution for few minutes and rinse off your mouth with water. Always use organic and unfiltered apple cider vinegar which contains mother in it. When you look at the bottle containing apple cider vinegar, a brown stuff keeps floating. This is called mother which has live bacteria and active enzymes that make the apple cider vinegar powerful in treating several ailments. Is it okay if drink acv after meal? before going to sleep or waking up in the morning? Yes, you can drink acv after a meal, before going to bed or after waking up in the morning. Into a cup of warm water, add 1 teaspoon apple cider vinegar, 1/4 teaspoon baking soda and 1/2 teaspoon of honey. Stir well and consume it. What if I can’t get to a store. I have some old store bought acv.. will it still work. Usually, apple cider vinegar doesn’t have expiry date and lasts a long time. However, its efficiency reduces with time. So, we recommend getting a new one and try it for home remedies for effective results. Can cinnamon powder and baking soda mix in water get rid of bad breath? Yes. Into a bottle, add 1/2 tablespoon cinnamon powder, 1 teaspoon baking soda, juice of 2 lemon and 1 cup of water. Close the lid and shake vigorously. Whenever you want a fresh breath, take 2 tablespoons of solution, swish for a minute and spit out. I have ultra-filtered Heinz ACV, does it worked for bad breath remedy? It is better to use unfiltered apple cider vinegar for effective results. Because unfiltered ACV contains mother element in it which is the main source of its essential properties. Where I can buy acv? Yes, apple cider vinegar is available in any grocery stores or you can buy it at online stores like Amazon. Can we consume Acv for bad breath and Probiotics for bacteria at one day ??? If this remedy works, why isn’t it in bottles on the store shelves instead of normal mouth wash that we know doesn’t help people with bad breath. I have it bad but no one tells me but cover their nose. Desperate for relief! Can i use any brand of acv? I drink water and fresh lemons together at every meal, every day, can I add AVC to my drink? Can acv gargle in the morning give fresh breath that lasts throughout the day or does one have to gargle the acv mixture from time to time to freshen breath? I have a sore in my gum how can apple cider vinegar cure it? how can I use? Apple cider vinegar can prevent an infection from occurring in your mouth sore, but because ACV is acidic, it might actually slow the healing process if you use a high concentration. You can try gargling a mixture of 1 teaspoon of ACV with 6oz of water or rose water IF your muoth sore is beginning to show signs of swelling or infection. how to use cinnamon and ACV? as I started using ACV my gum sore is being cured but still bad breath is still. how can I do?